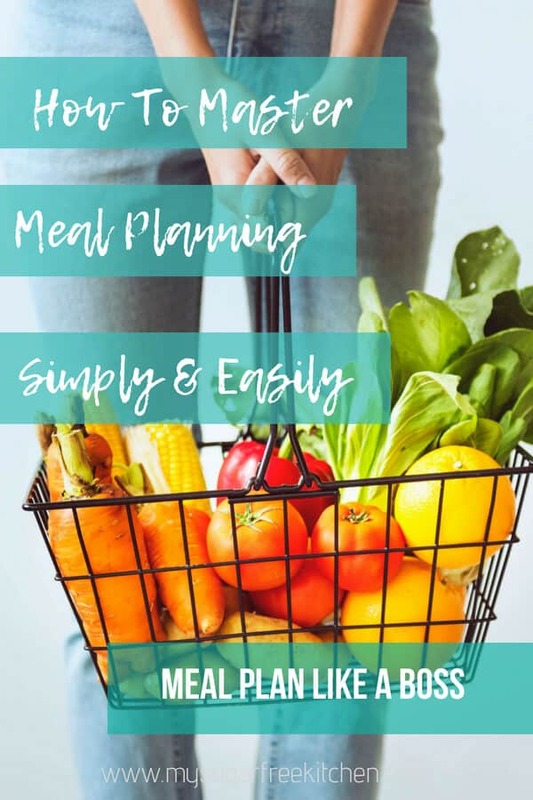 If just the mere thought of meal planning sends you into a cold sweat, or if you’ve tried it previously and it flopped, then there might have been some key things you were overlooking. 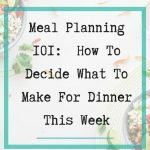 I know I’ve struggled with meal planning a lot over the years. Its left me frustrated, exhausted and feeling like I couldn’t even run my own household effectively. I just could never really find a meal planning rhythm that I could stick to. I never have had enough time, enough inspiration, energy, freezer space, or head space. Not to mention I was always completely disorganised whenever I went grocery shopping. 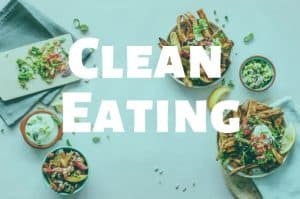 Thankfully, over the last couple of years I’ve managed to work through some of my biggest meal planning challenges so that I can fit in my after work activities and still eat healthy, avoid pre dinner snacking, and have everything on hand so there are no excuses for eating processed food out of box or hitting up the local takeout store. Finding the time to make a meal plan and stick to it when you already don’t have enough hours in the day. 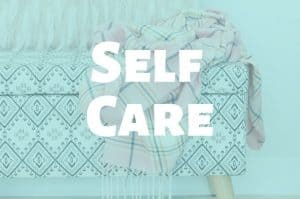 You might have a long commute to and from work, be working lots of overtime, be bringing work home, or have lots of extracurricular activities on the weekends, or any other number of things. 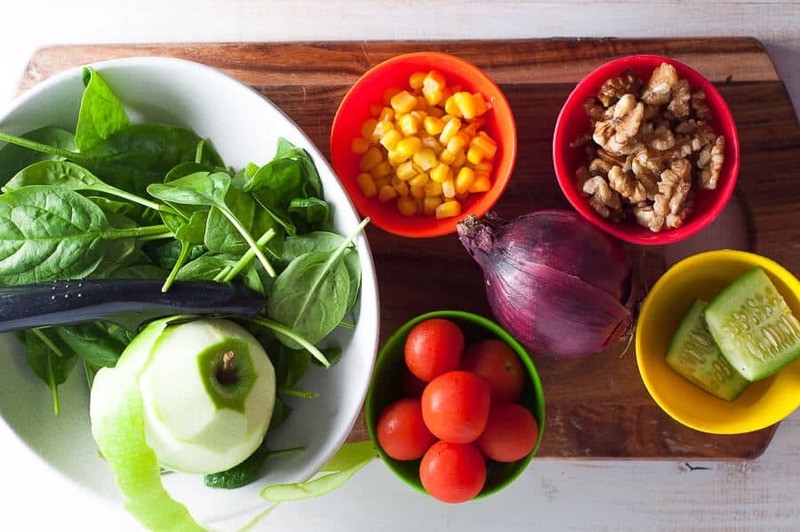 Whatever the reason is that you haven’t found the time to fit in meal planning to your weekly schedule, there are some easy and simple shortcuts for getting a homecooked meal on the table every night with little to no planning. 15 minute meals baby! Little prep, limited clean up, and a plate full of homecooked food. My back up: If all else fails, keep chicken breasts and or steak in the freezer at all times, making sure that is it portioned out into single or double servings or whatever else works for you. 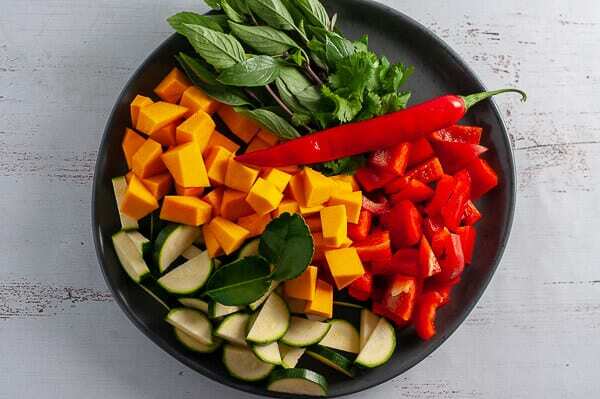 Combine this with precooked rice (the kind you zap in the microwave for 30 or 60 seconds) a bag of fresh salad and Italian dressing, or microwave some frozen veges. Pan fry your meat and this is dinner in less than 15 minutes. 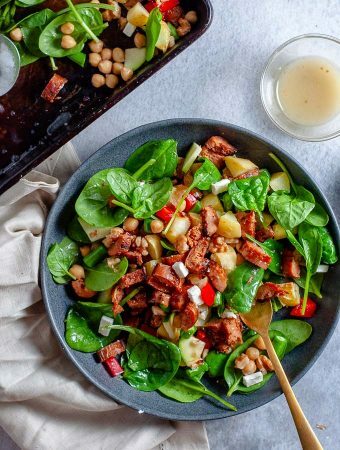 Action: Pick a 15 minute meal you’ll try this week. Make sure you have the things you need to make and lock in the night or nights you’ll make it. 15 minute meal inspiration is here, here, and here. To completely avoid cooking at all during the week, it means on the weekend you need to do the work to enjoy mid week home cooked meals. 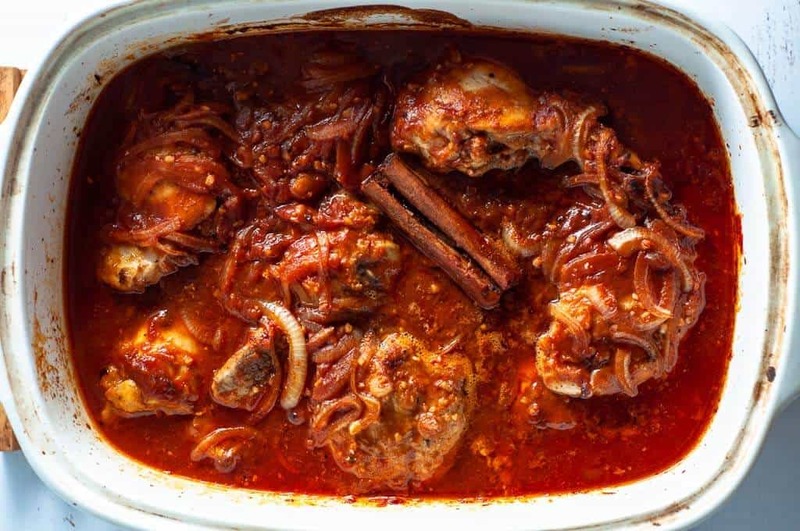 Think stews, curries and casseroles that can be made in the pressure cooker, slow cooker or oven. Make a big batch of a recipe on a Saturday or Sunday and portion it out into serving sized containers. Freeze some and refrigerate the others that you’ll eat sooner. 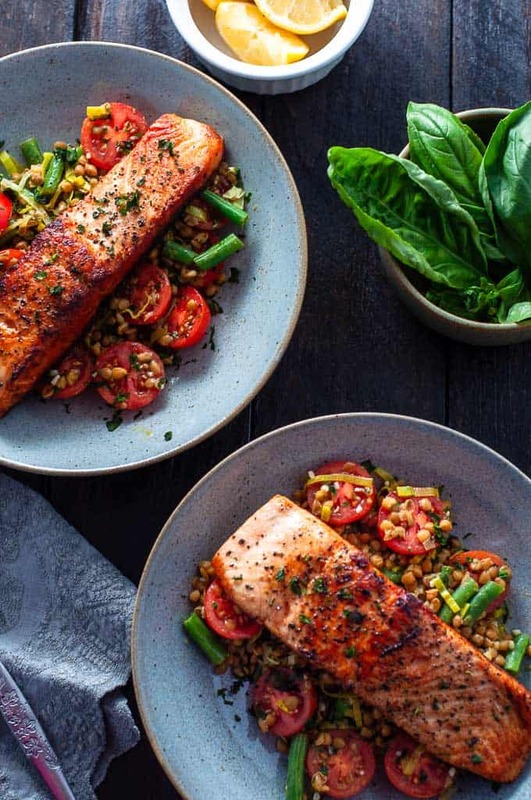 This recipe is your base dinner for the week. 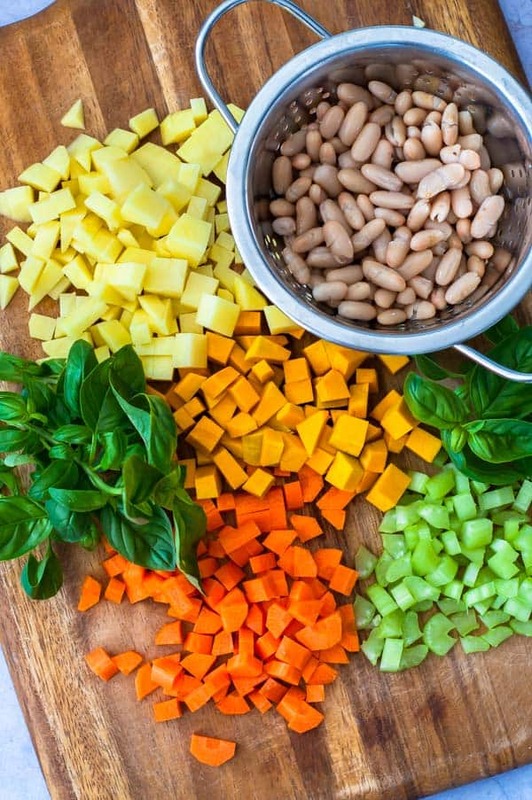 During the week, you add precooked rice, quinoa, frozen veges, lentils, chickpeas or blackbeans or a combination. These are all pantry staples you can keep on hand and they’ll never go off. A little investment up front for one or two appliances that do the cooking for you. 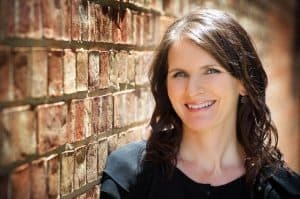 My favourite: The Pressure Cooker and Instant Pot are perfect timesavers. You can have a stew, curry or casserole done and on the table in 15 – 20 minutes. These are so speedy that its not even that onerous to chuck it on after I come home from the gym. A bunch of stuff goes into the pot, you press some buttons and it cooks away. While it cooks, you freshen up and jump into some lounge pants then voila it is ready. 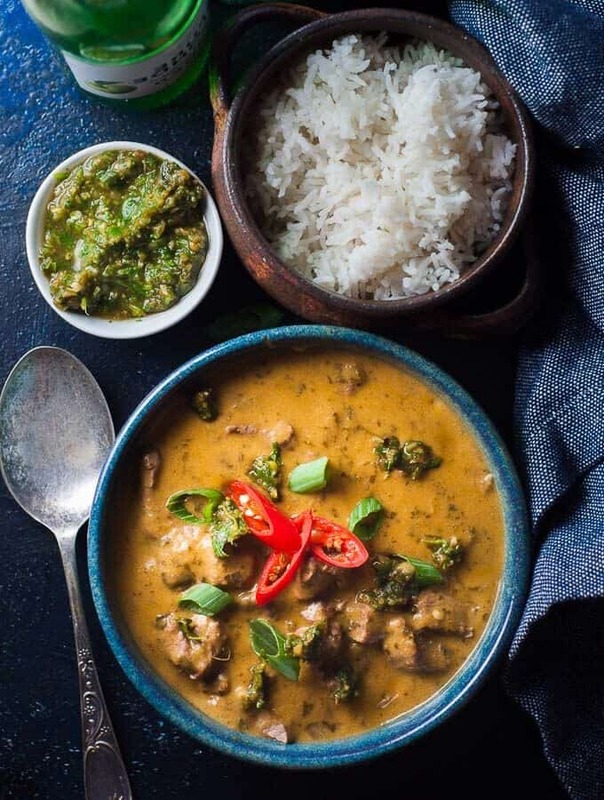 Pressure cooker recipes you might like to try: Pressure Cooker Chicken Korma Curry, Pressure Cooker Beef Curry, Pressure Cooker Apricot Chicken. My second favourite: Take 15 minutes to put the slow cooker on before you go to bed and in 8 hours you’ll wake up to dinner. 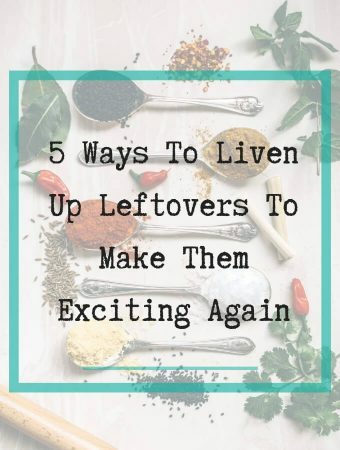 All you have to is portion it out into containers before you go to work, and rinse the slow cooker. 10 minutes work and you’re done. 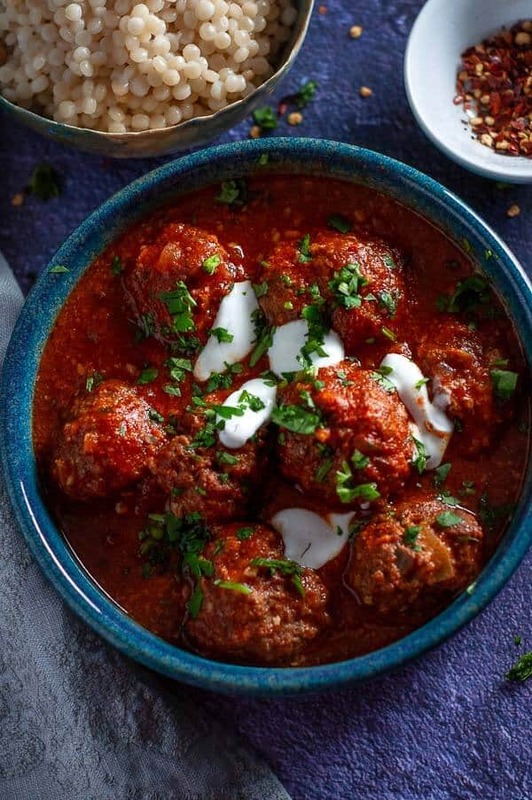 Slow cooker recipes to try: Slow Cooker Moroccan Beef Meatballs, Slow Cooker Moroccan Chicken, Easy Slow Cooker Beef Stew. 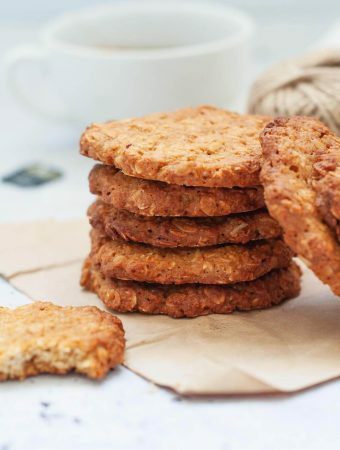 You need to get all your favourite recipes in one place. For this there are a few different approaches. 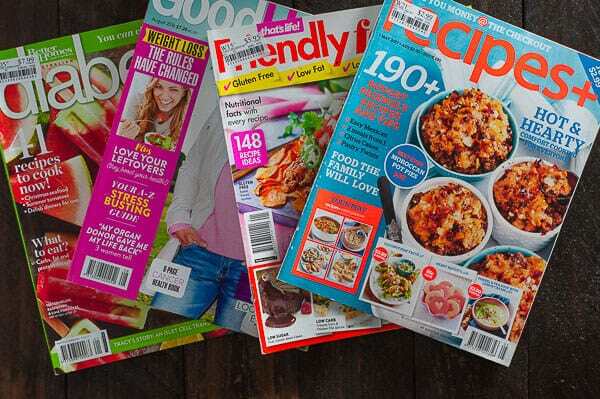 Start a hardcopy recipe binder that includes magazine recipes you find inspiring, interesting recipes off the internet that you’ve printed, family recipes from your mum or grandmother, and recipes from friends. As you make these, rate them out of 5 and note what you liked and didn’t like, along with any changes you made. I use post it notes that stick to the recipe or sometimes I write directly on the recipe. Start a menu planning diary/dinner diary. This is super simple and is just a list of what’s for dinner that week and at then end of the week or as you go you give it a rating out of 5. This method allows you to keep a running record of what you made, what was good and what wasn’t. PRO TIP: Just deciding what to make can be hard, so don’t try and make 5 new things in one week. If you like to try new things, just pick one new thing to try in a week, and the rest of the time make things you are comfortable and familiar with. Things you’ve made dozens of times before and that you already have some of the ingredients for. These are the things that don’t require a lot of brain power because of how many times you’ve made them before. Decide what you’ll be eating Monday through Friday. Write it up (piece of paper stuck to the fridge, written up on a whiteboard or blackboard in the kitchen). Then do your grocery shop so you have the additional things you need for the week. Action: Start a recipe binder, either hardcopy or digital with at least 10 of your favourite recipes. I’m a big fan of regularly purging my pantry, fridge and freezer. 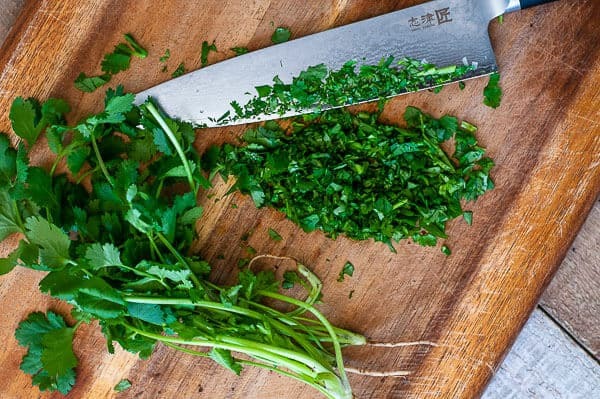 Each fortnight, clean out your freezer and remove anything that you’re not going to eat within the next 2 weeks. My freezer is small so I try to keep a 2 week cycle of food so I have enough room for the meals I make ahead and freeze. You’re fridge could also probably do with a clean out. 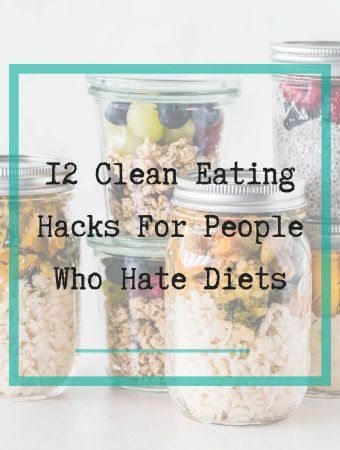 Make it a two week habit and spend no more than 30 minutes on fridge and freezer clean out. Having a timer set will make you focus and be efficient with what is to go and what is to stay. Remove anything from your fridge you haven’t used in the last 3 to 4 weeks, things that smell bad, look bad and that you have no intention of ever eating. The trick is regular maintenance to ensure you always have enough room. PRO TIP: When freezing meals choose containers that fit the serving size as closely as possible to maximise room. That is, if you’re serving a single serving of curry, choose a single serve container, not a double of one that could fit four portions. Action: Schedule 30 minutes to clean out your fridge and freezer, and put a post it note on your fridge/freezer with the due date of the next clean out – 2 weeks later. Trying to please everyone and ending up with something that isn’t pleasing to you. Find out what the criteria are for what’s in and what’s out on your dinner menu. This includes likes, dislikes and preferences and build your menu around that. This means asking everyone in your household that’s going to be eating. For me, that’s hubby. 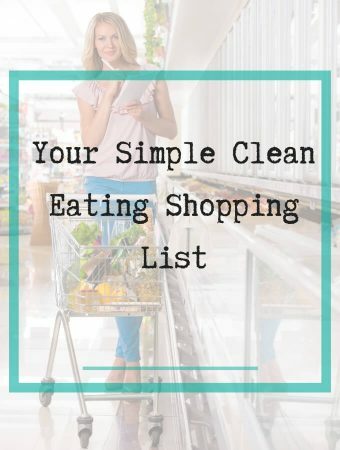 Pick dishes to make that fit with your criteria and make it visible to everyone in the household and tell them to let you know if there is an issue. 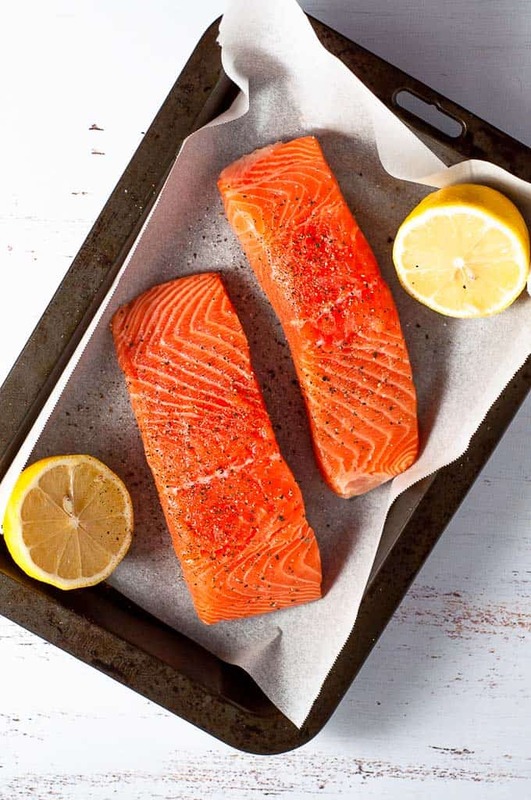 For me, my husband isn’t keen on salmon dishes, so I don’t put that on the menu when he’s home. I personally love salmon and could eat it several times a week, but I have to settle for having it when he’s away at work and I’m dining solo. 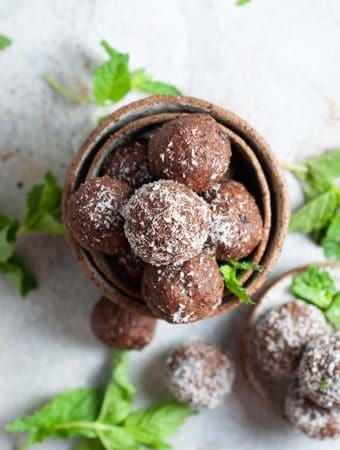 Action: Find half a dozen recipes that will please everyone and add them to your recipe binder so you don’t forget about them. Print them out, tear them out, whatever you have to do. Finding ways to minimise the kitchen mess because the last thing you feel like doing on a weeknight is cleaning. If you’re cooking during the week, one pot meals, pressure cooker and instant pot meals are the way to go to minimise mess. One pot to cook, one pot to clean. If you’re making meals ahead – Its pressure cooker, instant pot and slow cooker. Set it and forget it. 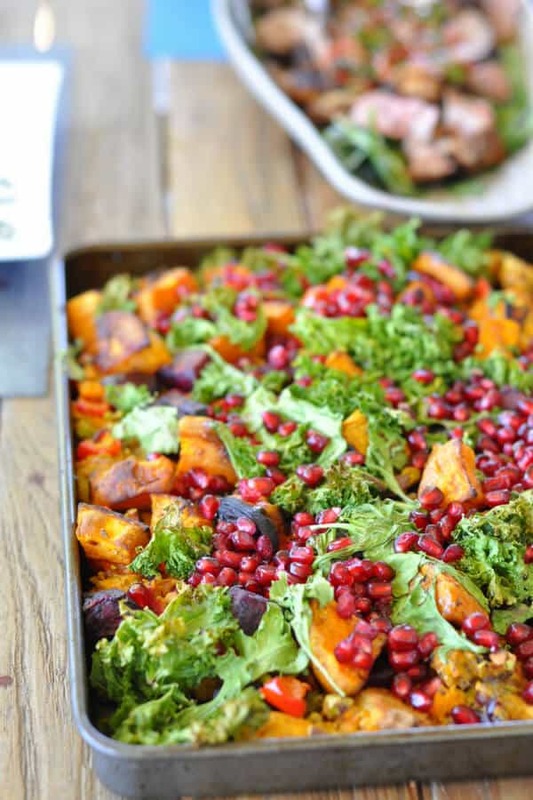 Portion it out and store it in portion controlled servings. Minimising kitchen mess during the week I think is easiest when I’ve made my meals ahead of time. I can just pull them out, microwave them. Reheat, eat, and rinse. One container, knife and fork. It doesn’t get any easier than that. Action: Find a few one pot meals to add to your repertoire. Check these out for inspiration. Or buy an instant pot or pressure cooker for the ultimate mess free cooking. When I know I have gym commitments Monday to Thursday evenings and I’m not getting home until 6.45/7pm there three different strategies I have. 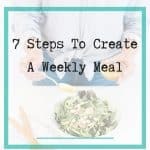 Having multiple strategies to deal with this challenge allows me to eat quickly, minimize mess and still have time for other things that night. Strategy 1: fully systemised – I’ll eat the same thing four nights in a row but change it up with frozen veg or rice/pasta. I’ll make a slow cooker or pressure cooker recipe on a Sunday and that’s what I’m eating Monday to Thursday. Strategy 3: partially systemised – Cook Monday night, leftovers Tuesday night, cook Wednesday night, leftovers Thursday night. 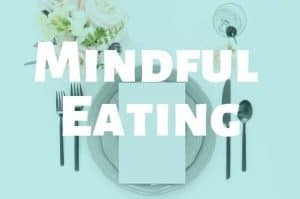 This strategy generally includes 15 minute meals where we are effectively eating the same thing for two nights and different thing the other two nights. Action: Choose the strategy you’d like to try and see if it works for you. Commit to it for one week. If it doesn’t work, try one of the others. What’s your biggest challenge with meal planning? Do you see it above? 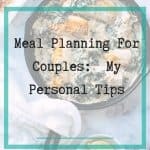 For meal, I constantly struggle with overwhelm and just making a decision of what to put on my meal plan. Once I have made a decision though I’m usually good. 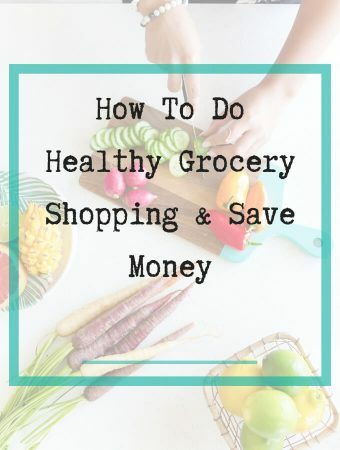 Making a shopping list, checking the fridge and pantry for things I already have, adjusting my shopping list and then actually doing the shopping all tend to fall into place once I commit to the initial decision of what we will eat for dinner that week. Pro tip: Just look to the week ahead to work out what you’ll eat for dinner. If planning for a week is too much, plan for the most difficult days. For me those days are Monday to Thursday where I have very little wiggle room and time is at a premium. 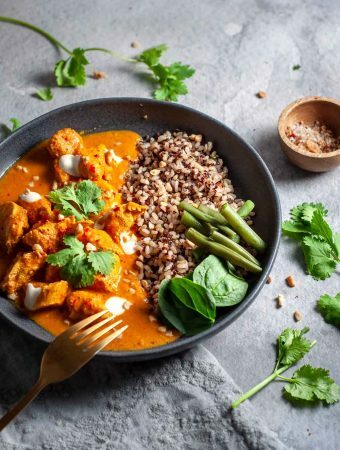 Knowing what’s for dinner in advance on these days reduces stress, frustration and temptation to snack as I know I have a healthy dinner waiting. A little bit of forward planning can pay off big. 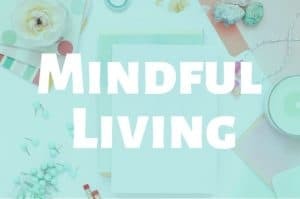 For me it means I can spend more time with my husband, my dog, and it allows me to spend time working on my blog, even after working 8 to 9 hours at my day job, with a 1.5 hour round trip commute and a 1 hour gym workout. I want to eat healthy unprocessed meals for dinner every night, but just like you, I feel like there aren’t enough hours in the day. A little bit of forward planning really is the key to less midweek dinner stress and a full satisfied tummy.